Chris took over as ACE President on Jan. 1, 2016. Her service to ACE started in April of 2014 as a member of the negotiations team where she served as chair for two years. For over a decade, Chris has been actively involved in promoting the professional development of classified staff at Foothill-De Anza. In addition to her work with ACE, Chris served as Foothill College Classified Senate President in 2011. She has also chaired or served on numerous college participatory governance committees including OPC, PaRC and two accreditation subcommittees. 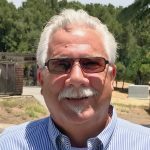 Chris joined Foothill College in 2000 and has worked as a program coordinator II in the Foothill Marketing Office, and with the statewide Online Education Initiative Grant (OEI) administered by Foothill – De Anza. 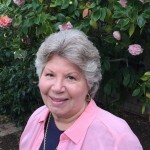 Kathy began serving as treasurer of ACE in January 2019. She started her career with Foothill-De Anza in September of 2006 and currently works for the Foothill- De Anza Foundation as an accountant. Shawna was appointed as the ACE Recorder in April of 2016. She began her career at Foothill as a student worker in 1996, becoming a permanent employee in 2000. Shawna currently works in the Office of Instruction at Foothill as the academic services technician. Cathleen took over as chair of negotiations in January of 2017. Previously, she had served for two years on the negotiations team. 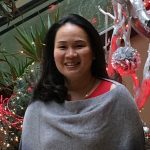 Currently, Cathleen works as the division assistant in the PSME division at De Anza. Bill became the Central Services Vice President in the summer of 2015 after serving as their chief steward since ACE incorporated in March of 2009. He also served for several years under SEIU, first as the De Anza Chief Steward and then as the Central Services Chief Steward. 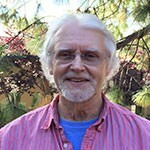 In addition to his union duties, Bill also served several years with the De Anza Classified Senate. Since joining the District in 2001, Bill has worked as a programmer analyst in Educational Technology Services (ETS). Annette started serving as a board member for Central Services in January 2019. Prior to this she served as treasure for ACE since it was incorporated in 2009. 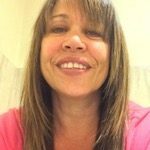 Annette has been with Foothill- De Anza since Jaunary of 1984 and currently works in purchasing as a buyer, special projcts. Precious has served as Vice President for De Anza since December of 2017. 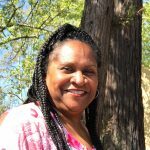 She joined De Anza college in November of 2015 and works as the Facilities & Equipment Assistant in the physical education department at De Anza. 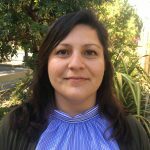 Beginning in August 2017, Erika began her service to ACE as chief steward for De Anza. She previously worked at a non-profit, youth serving agency where she served as a steward for a little over two years under SEIU. Erika joined De Anza in 2016, and currently works as a program coordinator II for the Student Success and Support Program. Cynthia began serving as a board member seat 2, representing De Anza, in February of 2017. In addition to her duties as a board member, she serves on the Professional Growth Awards committee representing ACE. Previously, she served on the Classification Committee from its inception until it was eliminated in October 2015. Cynthia has been with the district since June of 1989 and currently works at De Anza as a human resources technician in the Budget & Personnel Department. 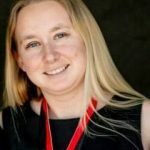 Keri has been an ACE Board Member for De Anza College since 2011, representing ACE on the Student Services Budget and Planning Team (SSPBT) and the Campus Budget Team participatory governance groups. 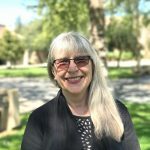 She began her career at De Anza in 2006 as a classified hourly employee, and currently works in the Library Services Department as a senior library technician. 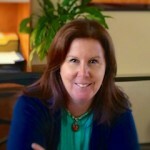 Denise has served Foothill’s vice president for ACE since 2012, where she represents ACE on OPC and PaRC. In addition to her vice president duties, and on behalf of ACE, she also serves as the chair of the Professional Growth Committee and sits on the Staff Development Committee. Over the past 10 years, Denise has been actively involved in both ACE (board member and V.P.) and Foothill’s Classified Senate (treasurer and secretary), working to raise the professional awareness of classified staff. 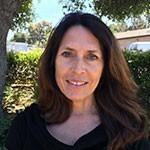 She has been with the district since 1986 and currently works as the academic scheduling coordinator in the Office of Instruction at Foothill. 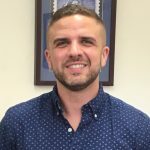 Josh began as chief steward for Foothill in March 2018. 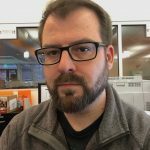 In 2011, after receiving his MA in English and an MFA in Fiction Writing from San Francisco State University, Josh published a novel and a collection of short stories, and served as an adjunct faculty member for several institutions, including Foothill. He permanently joined Foothill as an instructional support coordinator in the Teaching and Learning Center in 2016, and like his predecessor, plans to stay here until he retires. Beginning in 2012, Christine has served on behalf of ACE as a trustee on the VEBA board, a medical retirement plan for post-1997 employees which is bargained collectively with all the other units in the District. Previously, she has served as co-chair on the ACE negotiations team when the medical plans were negotiated by each union separately. 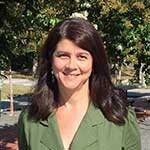 In addition, Christine has participated in shared governance since she joined Foothill in 2000, serving on classified senate as segment representative and treasurer, as well as classified senate representative on campus committees. Christine currently works as a division administrative assistant in the Biological and Health Sciences Division at Foothill College. Duty of fair representation claims. Representation of ACE before administrative agencies and courts of law. Bradley Booth has a long history of standing up for workers’ rights. He began his legal career with the California State Employees’ Association (CSEA). While there he was president of the employees’ union and represented state employees in appellate and trial practice, administrative law, writs, and extensive contract interpretation coupled with discipline and contract arbitration. Prior to opening his private practice, he was chief counsel for the Department of Fair and Employment and Housing (DFEH). At DFEH, he constantly worked to strengthen anti-discrimination statutes in California. Over the past 20 years in private practice, while representing labor unions, he has been able to hone and perfect his original passion through an emphasis on labor law and employment discrimination. Anthony Booth has a background in politics. He spent seven years working on a gubernatorial campaign, which had a major focus on expansion of labor rights. His passion for the labor movement began at a very young age when he walked picket lines in support of his father’s union strikes. He has been a labor consultant for the past eight years. Over those years he has represented members in all aspects of labor including individual issues with management and union issues in arbitration and before the state labor board. In 2017, he earned his J.D. from Golden Gate University School of Law.